The Narrative Loft has certainly gone through some changes over the years, as we all do while trying to find our place in the world. And on this journey, we have had the opportunity to get to know some fantastic people, kind enough to share their stories with us. For example, the wonderful team of talented people from Foundation Training. Dr. Eric Goodman, the founder of Foundation Training, has changed the lives of so many people with his exercise training, designed to eliminate chronic pain. His own story is one of triumph; when doctors advised lower back surgery as his “only option,” he refused to believe that was there wasn’t a different path. This inspired him to invent a different (and better) path, and with that, Foundation Training was born. 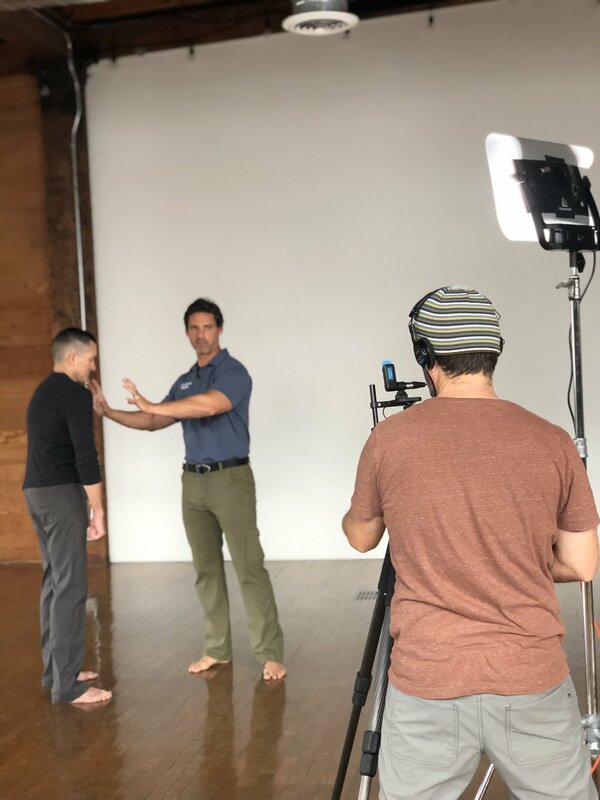 A couple weeks ago, Eric and a few members of the Foundation Training team worked with guest star Elijah Sacra for a video highlighting a few exercises designed for pain relief. Elijah Sacra is a US Marine Corps Veteran that has continued to serve our country through Warrior Wellness Solutions, a nonprofit organization based in North Carolina. As Executive Director of Warrior Wellness Solutions, Elijah has helped thousands of service members and veterans that have made unimaginable sacrifices for our country. He himself suffered painful injuries during active duty that offered little hope for improvement, but has found Foundation Training to be a great tool for his pain management. The two-part video (found below) targets common areas of pain in veterans, but offers benefits for everyone. Eric and Elijah worked on the details of the perfect form- head to toe. The duo made a great team!